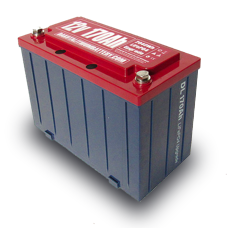 Optimized for 24 volt motors including e-bikes, e-scooters, and hoverboards, this battery module can be adapted for a wide range of uses. A high powered punch in a small package. Built to be wired in parallel, this battery gives you the DIY flexibility to create your dream e-bike, e-scooter, or e-power tools. A powerful and efficient heat battery. Affordable and easy to install. Build a solar water heater system for your home, or going off grid. Build a solar water heater system for your home, or going off grid. Connect multiple panels for larger projects. Boil water using only sunlight! 1 tube can raise 1 liter of water from 60'F(15'C) to 212'F(100'C) in one hour of direct sunlight. Use this box of 10 tubes for your own science or hobby projects, or for building your own powerful solar-powered home heating systems.